My dad was for JFK, not only because Kennedy was a Democrat, but also because Kennedy had been a Naval Officer during World War II. My father had also been a young Navy Officer during the War, and therefore Jack Kennedy was his man. My mother was for Nixon and against Kennedy for a religious reason. Kennedy was a Catholic, and my Pentacostal mother believed that if a Catholic were elected President, the Pope would be running America. She was convinced that if Kennedy won, there would be a red phone in the Oval Office that would have a direct line to Rome, and that every morning Kennedy would call the Pope to get his marching orders for the day. I remember that Kennedy and the Pope won that presidential debate by a whisker, specifically Nixon’s whiskers. Believe it or not, Nixon failed to shave before the debate and appeared on the television screen with a heavy five o’clock shadow. This would have looked bad enough on color TV, but on a black and white TV, it made Nixon look dark and evil, which as it turned out, was a pretty accurate portrayal. Kennedy on the other hand, not only shaved but looked tan and fit probably because the Pope had told him to go to Palm Beach and sit by the pool to prepare for the debate. I saw my next presidential debate some 16 years later when President Gerald Ford debated a peanut farmer from Georgia named Jimmy Carter. I did not watch this debate with my parents. I was in law school and watched it all by myself in my apartment. It was a close debate until President Ford made a gaffe by liberating Poland. As it turned out over the next eight years, pain wasn’t the only part of us that Bill Clinton felt. In 2000, I watched a truly bizarre presidential debate as my fellow Tennessean Al Gore left his podium on the presidential debate set and appeared to stalk President George Dubya Bush across the stage. He did this after muttering something about a “lock box.” It was a bizarre scene, and Gore went on to lose the election to Dubya by one vote, specifically Justice Scalia’s. I have no recollection of any other presidential debate, even though I’m sure I watched forgettable battles such as Dukakis v. George Herbert Walker Bush, Kerry v. W. Bush, and McCain v. Obama and Romney v. Obama. 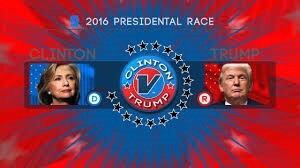 On Monday night, some 56 years after I sat between my mom and my dad and watched the Kennedy/Nixon debate, I’ll be sitting in my lounge chair, all by myself, watching Hillary Rodham Clinton debate The Donald. I have lowered my expectations for this event, as I truly believe it will be a not-so-great debate. In fact, I believe it will be a series of insults, as if Don Rickles will be debating Lisa Lampanelli. I hope I’m wrong, but I predict that by the end of the debate on Monday night, all of us will either be glancing at our watches like President George Herbert Walker Bush, or hoping that both Secretary Clinton and The Donald will impersonate Al Gore by leaving their podiums, and stalking across the debate stage, and heading for the exits. assignment writers: Trump is not a leader for me because i don't believe he has guts of leadership, till to date there is no single decision that he has made for whole world, despite he is creating social gaps between cultures, societies and religions.